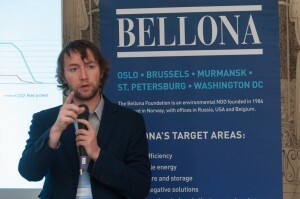 24 November 2015, Kiev – The Bellona Foundation held its 2nd “Energy and Climate Dialogue” forum, this time focusing on oil and gas production in Ukraine, and the economic and environmental aspects of minimising the resource. 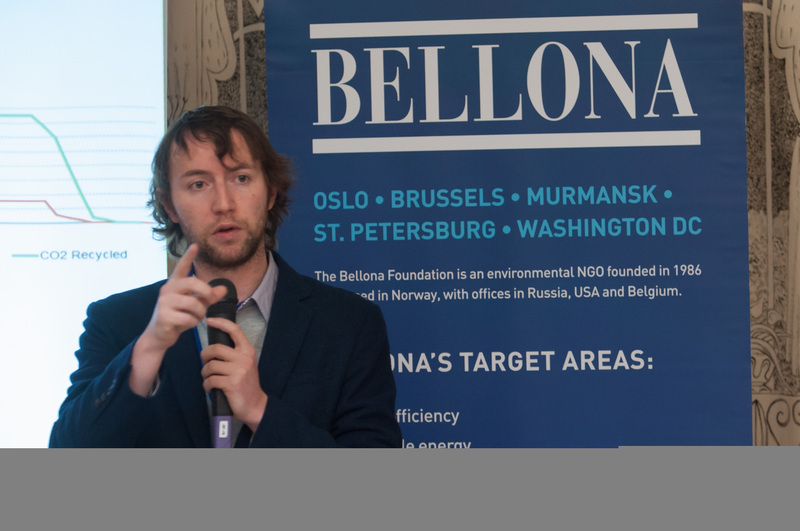 The event forms part of Bellona’s recently launched initiative supported by the Norwegian Ministry of Foreign Affairs to assist Ukraine in the transition of its energy supply and industrial sector. The CSR Development Centre served as a partner of the event. The Forum was opened by Jon Elvedal Fredriksen, Ambassador of the Norwegian Embassy to Ukraine, and Vadym Virchenko, Advisor to the Minister of Energy and Coal Industry. Frederiksen informed that Norway has recently increased its support to Ukraine five-fold. The main pools for investment include reforms, energy efficiency, investment promotion and fighting corruption. Olga Belkova, MP, member of the committee on fuel and energy complex, nuclear policy and nuclear safety, shared the latest parliamentary news on the oil and gas industry. Belkova also noted that it is necessary to raise awareness among MPs about the environmental aspects of minimising the resource. The representative of Bellona’s Brussels office, Keith Whiriskey, presented carbon capture and storage (CCS) technology as one of the key technologies in combating climate change and talked about the potential of enhanced oil recovery (EOR) to act as an enabler of CCS. The representative of the Global CCS Institute, Guido Magneschi, focused his presentation on the recent trends and the current status of CCS in the world. 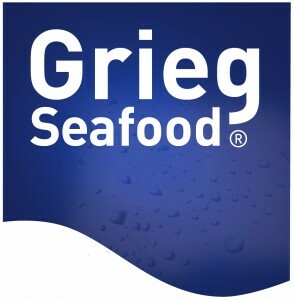 Currently, there are 45 CCS projects in the world, among them 22 projects being underway, 11 approaching finalisation and 12 at initial stages of the negotiation process. The total capacity of these projects is 80 million tons of CO2 per year. Most of the projects are implemented in the territory of North America (13 – in the US and 6 – in Canada), China (9) and the United Kingdom (5). 11 projects out of these are aimed at enhanced oil recovery (EOR), as they have high purity CO2 Nevertheless, in Europe there are no EOR projects at the operation stage despite the rising interest in such projects in the United Kingdom, Norway and the Netherlands. One of the solutions to this low rate of EOR projects is to promote and raise awareness of this technology. Kor Goftee from the Organisation for Applied Scientific Research (the Netherlands) talked about the economic optimisation of enhanced oil recovery methods. Andrew Cavanagh from Statoil Research Center (Norway) compared the conditions and the experience of North America and Europe in the use of CO2 for EOR. According to him, the ratio of income and costs in such projects is 5 to 1. 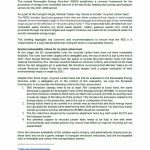 The associated high capital expenditures were pointed out as the key problem of such projects. 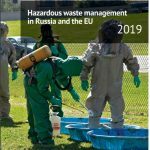 In the course of the event the participants also discussed financial tools to minimise environmental risks, as well as decarbonisation of Ukraine’s economy and the country’s position at the UN climate conference COP 21 that was held in Paris last month. The experts agreed on the importance for Ukraine to develop an internal position, goals and plans in terms of climate change. The event was attended by state authorities, business (including oil and gas sector), universities, expert and civil society organisations. 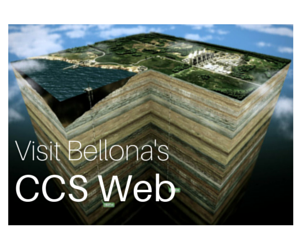 Bellona will be hosting its next forum “Energy and Climate Dialogue” in 2016.